1. How do you view the first 7 weeks of the season? 2. How do you view the remainder of the season? As we sit here at 3-4 on the bye week with time to take a deep breath and reflect, what are your thoughts on the first 7 weeks of the season? Are you disappointed with where we stand? Are you pleased with where we stand? Or are you somewhere in the middle? Are you looking at the remainder of the season with a glass half empty or glass half full, and why? Week 1: Loss - Longest game in NFL history. Walker goes down for the season. Mariota hurts his ulnar nerve and is still feeling some of the effects to this day. Lewan gets knocked out and concussed. Multiple interceptions by Mariota, a kick off return for a touchdown, and a deep ball given up by Butler ultimately doom us. We open the season at 0-1. Week 2: Win - We pull off the W with Gabbert at the helm and 2 backup tackles. Vrabel is praised for out-coaching BOB. LaFleur is praised for devising an offensive game plan capable of overcoming the mounting offensive injuries. With everything seemingly stacked against us, we somehow sit 1-1 when nobody gave us a chance. Week 3: Win - Gabbert gets knocked out for the game with a concussion. Enter Mariota with a half numb throwing hand. We leave a defensive slug-fest victorious with a sprinkle of clutch Mariota to get us over the edge on the road. Now 2-0 within the division and our continual dominance over the Jaguars, we leave Duval 2-1. Week 4: Win - Corey Davis goes off. Marcus adds another game winning drive to his resume and has his best game of the year. Vrabel is praised for playing for the win and not the tie in OT. Lewan demands respect from the national media. We are on cloud 9 with a walk off TD in OT, a 3 game winning streak, and a strangle hold on the division. Everyone believes the best is yet to come as we end the first quarter of the season 3-1. Week 5: Loss - Offense begins to sputter and the touchdowns are increasingly harder to come by. Dropped balls and overall bad WR and TE play is beginning to take it's toll. Defense allows rookie Josh Allen to lead a drive in to field goal range after the offense finally gets the lead. We lose on a last second field goal. "Same ol' Titans" rears it's ugly head. We now sit at 3-2. Week 6: Loss - First time in franchise history we are shut out at home. It is now questioned if Marcus can truly be, "the guy" to lead our franchise. The entire offense seems to be broken - running game, receivers, o-line, QB, LaFleur (LaFail?). We are humiliated and embarrassed. Back to mediocrity at 3-3. Week 7: Loss - London Bridge is falling down...on our season. Two huge plays given up by the defense. Marcus throws his 1st career redzone interception - which proved to be a costly one. Vrabel goes for the win on a 2 point conversion and fails. Horrible play call by LaFleur on the 2 point try. We now find ourselves on a 3 game skid and 3-4 overall heading in to the bye. Week 8: Bye - 3-4 and 2nd place in the division. One game back from the division leading Houston Texans who we hold the tie-breaker over. And now a date against America's Team on MNF is looming on the horizon. Many, including myself, believe it is a must win game if we want a shot at the playoffs. 1) What are your thoughts on the first 7 weeks of the 2018-19 season? Everything considered, are you disappointed, pleased, or do you find yourself somewhere in the middle and why? 2) As we head down the stretch, do you view the remainder of the season with a glass half empty or glass half full? I’m looking forward to the 2nd half, I think LaFleur & the offense will work out the kinks and get rolling. Our schedule gets a lot easier too which gives me hope. Disappointed that we're 3-4, facing a must win game so early in the season. The Miami game was just a mess... outside our control... but we really should have won that Bills game... which I think will come back and haunt us in the end. The Charger game is disappointing just in that we got the L.
Disappointment with the way the offense still hasn't clicked... expected some growing pains... but not this bad, and not this long. O f course injury to Walker and Matthews quitting set us back, but still disappointed in our Robiskie-style offense still. Impressed with the defense so far. I know the bend don't break approach can be frustrating... but our defense has done well enough to put in position to win every game with the exception of that Baltimore game. I mean week 1 set us WAYYYY back man. Marcus couldn't feel his throwing hand. We lost our best pass catcher and Marcus' favorite target.. Just a awful start to the season. New offense. Losing two of your top three pass catchers and Henry trying to be CJ. And your QB cant feel his hand LOL. Not really surprised. You can see Marcus's hand getting better. So thats good news.Maybe make a trade for cook cause our TEs are trash without walker. The most disappointing thing tho. MALCOM FREAKING BUTLER. Im fine with the bend dont break but my god he is supposed to be a #1. Why in the world is he getting beat down the field. Idk. But overall I think we've done well on defense. Holding them to FGs is great. But not if you cant score on offense. With all that being said I think we are in a great spot for the playoffs. 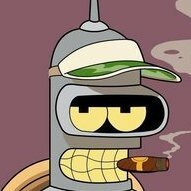 We've lost pretty much every game to the wild card teams so winning the south is the only way we get in. Jags are falling apart just like us and the texans are starting to hit their stride but for how long. Think we bounce back on MNF. Im honestly more worried about the colts. Luck owns us. In addition to the offensive woes, another crappy thing is how hard our losses could come back to bite us. 3-4 is hardly insurmountable, but it's very possible, if not likely, that the Dolphins, Ravens, and Chargers will all be in the wild card race. There goes any tiebreaker we might need. Pretty much have to win the division if we want to get in. 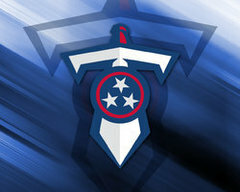 I am going on record and say if the Titans don’t win the division they will not make the playoffs. All their losses are conference losses. No way they make the wildcard. ? ?